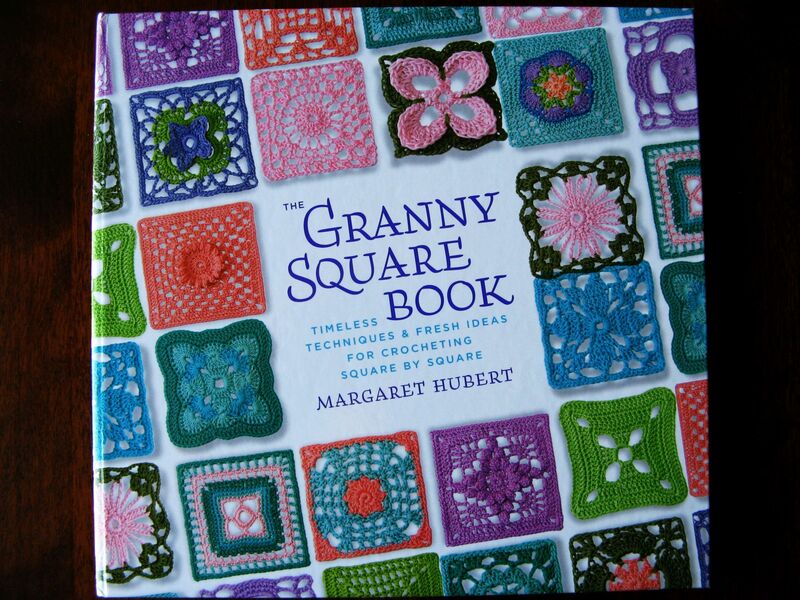 While I still haven’t decided exactly what I’ll be doing about the missing granny square in the crocheted afghan I bought at the yard sale, I now have a great resource to help me work on the problem. The center of this granny square perfectly matches the one I have. The border is very different, but I think I might be able to figure the border out using some of the other patterns. 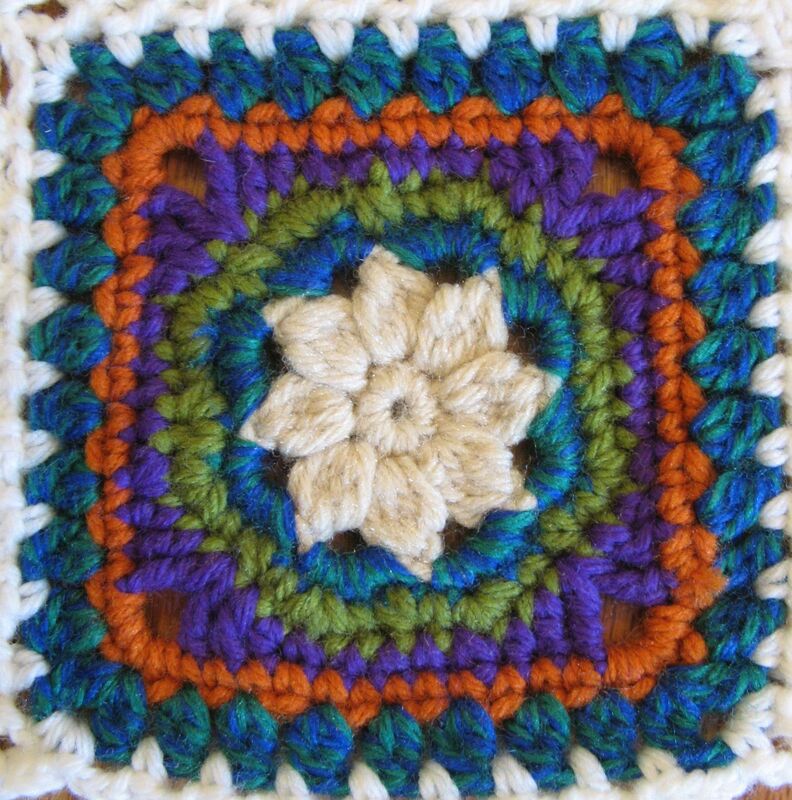 While this square isn’t a perfect match, the borders are similar enough that I might be able to tweak them to look more like the original blanket. I’ll have to play with it for a bit and see if I can come up with something I like. 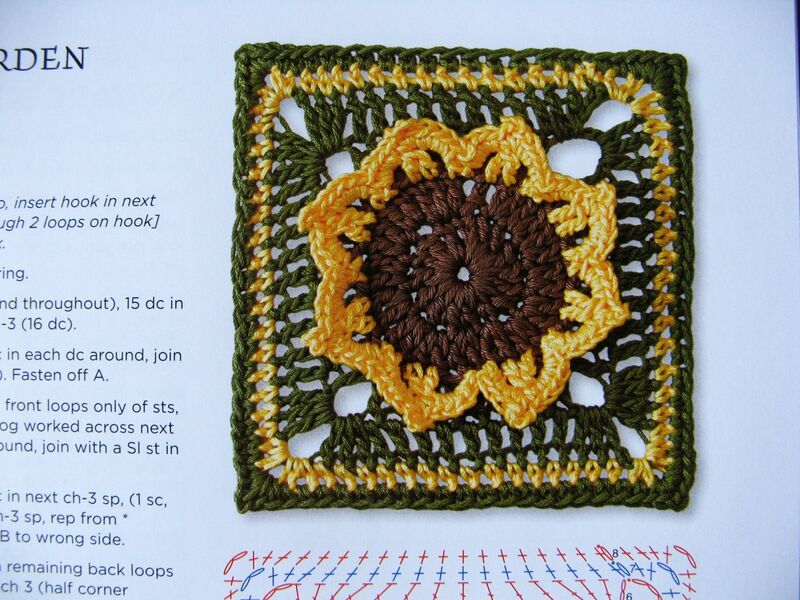 Even if it doesn’t work out, I can tell I’m going to have fun trying some of the patterns in this book. 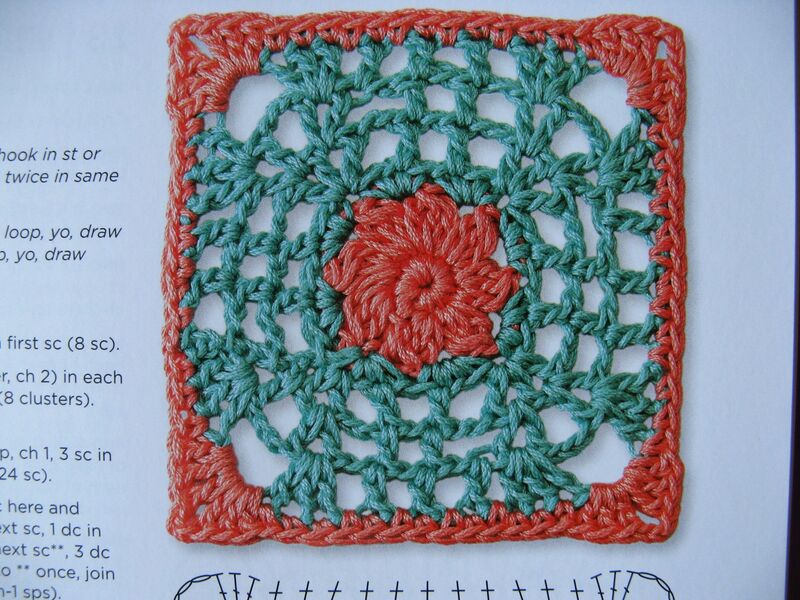 I’ve never seen so many variations of granny squares or so any intriguing ideas for how to use them. I can’t wait to get out my crochet hook and brush up on my stitches.